Our updated SV40 report (see earlier report here), as featured in EP03 of Truthstream News: All About Those Vaccines… This still blows us away. No one has ever been held accountable. Nothing has ever been done. The relevant facts were known by the scientific community back in 1960, but it wasn’t until lawsuits and investigative reports in the 1990s and a Congressional hearing in 2003 that the public was informed about the scale of the contamination and its possible link to many of the deadly forms of cancer spreading today. Yet little has been acknowledged in public discussion since that point. In the aftermath of these admissions and inquiries, the CDC launched a fact sheet page on its website addressing the links between “Cancer, Simian Virus 40 (SV40), and Polio Vaccine” which noted the discovery of SV40, its presence in an estimated 10-30 million doses of polio vaccine and disputed scientific claims concerning its presence in cancer tumors and its possible role in causation. Worse, scientists in the late 1990s revealed a secondary form of SV40 that was present in post-1963 versions of the polio vaccines — after the formulations with SV40 were replaced — which were not detectable in the testing methods used up until that point — meaning that the impact of this virus on the public could be even more widespread yet largely unknown. 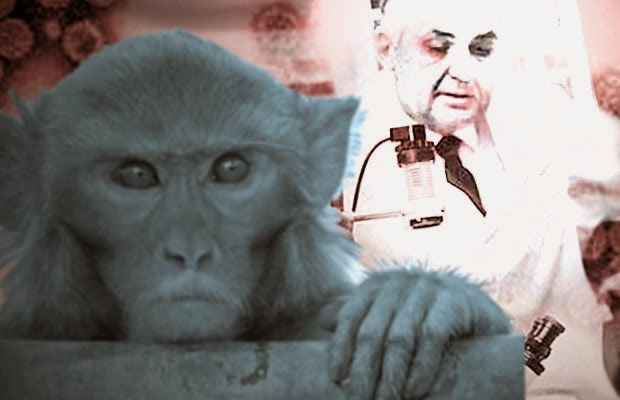 Whatever master agenda could be at work here, it is amazing that the American and global public continue to trust their bodies to the same science that ‘accidentally’ contaminated tens of millions of people vaccinated for polio with a monkey virus found time and again in cancerous tumors. The presence of SV40 — which Merck vaccine scientist Maurice Hilleman joked in the video below caused tumors — has not officially been recognized by the government as having caused all these cancers (again, the CDC has continued to affirm ‘further research is needed’).